Prompt music… romantic beautiful setting. The camera zooms in on a beautiful lady, looking very much like a Hollywood starlet, against a vista worthy of the most elaborate romantic novel. The music matching every emotional element. Emily has to let one beau go, the very handsome ( and race car driver , be still my Speed Racer Heart) Arie. Awkwardly, Emily kind of gives him a weak let go and he looks confused and hurt and leaves in a limo. The camera pans to him, then her, then to the tearful studio audience. The music crescendos milking every emotional tear. Then back to Emily dressed like a Princess ( a damn beautiful one at that). All of sudden, Jef enters, dashing and handsome. He walks up to her and she gives him the final rose. Then he gives what is like the best kind of romantic and loving tribute that any guy can give the woman he loves. Then he kneels and pulls out that big rock of a ring and asks for her hand in marriage. She looks down and smiles and then pauses, and pauses and pauses for about 10 seconds…before finally saying yes. The music hits high notes to match the happiness as the loving couple kiss and all is good in the world again. I have only watched the last 3 episodes of this show. However, I know that this particular season with the single mom and her quest for the guy of her dreams has been one of the most popular seasons for this franchise. Most couples who have gone down this road on this show have not been able to sustain their relationship to a real wedding day. 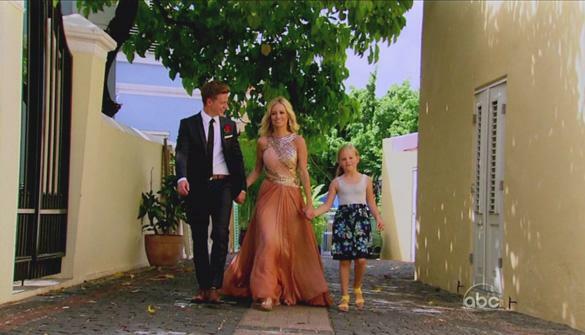 It looks like Emily and Jef will make it. Of course, we seem to be obsessed with hoping for this fairy tale wedding ending. I mean it was a tv show that basically paraded a number of men in front of Emily in different scenarios, with many situations, speed dating in front of America and ( speed smooching). Some call it efficient. I guess so. Chris Harrison, host, was our tour guide, narrator, and story teller throughout the whole experience. He fueled the fairy tale hope. Watching the live studio audience reaction during the finale only reminded me of what was being replicated throughout all the households in America. In all seriousness, Jef Holms, an entrepreneur and co-founder of People Water , has plans to move to Charlotte to live close to Emily Maynard and her daughter. They also plan to do humanitarian work in Africa is which is close to some efforts associated with Jef’s company. They are planning for a wedding but that will come later. 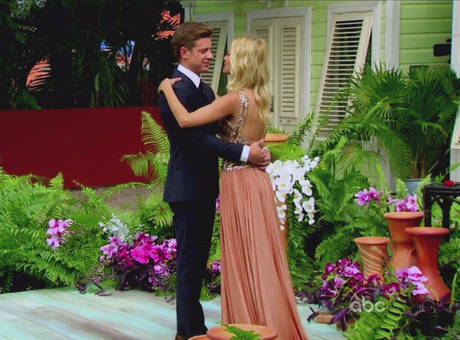 If nothing else, a show like the Bachelorette only proves that America loves a good love story, fairy tale or not. Much such Emily and Jeff. America just need to wait until next season for another story and another fairy tale.